We’re heading back to Florida this year and it’ll be my first time heading there as a ‘grown up’ without my parents. Stuart and I have been desperate to get a Florida trip planned for a while and back in May 2018 we put the deposit down on a 2 week Disney trip. 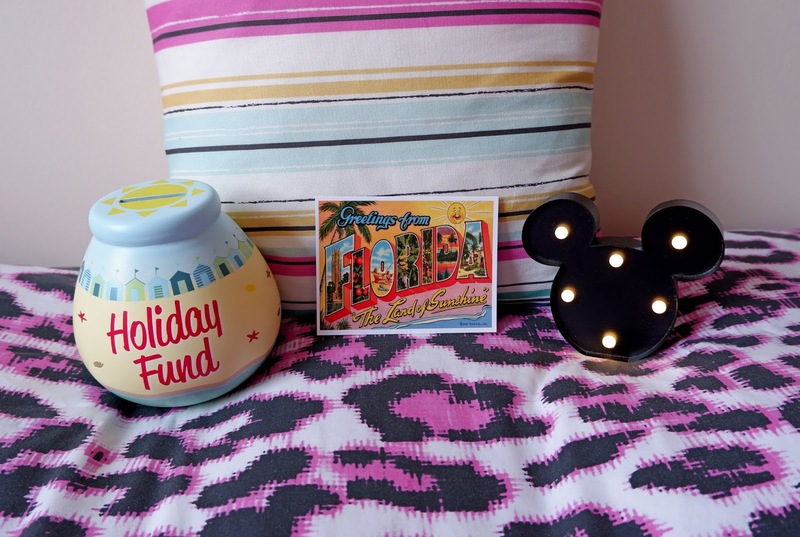 Since the end of 2017, we’ve been putting money aside for Walt Disney World and I’ve been prioritising saving for Florida over anything else since then. We’ve been trying to follow different money saving tactics and I thought I’d share them on my blog today. 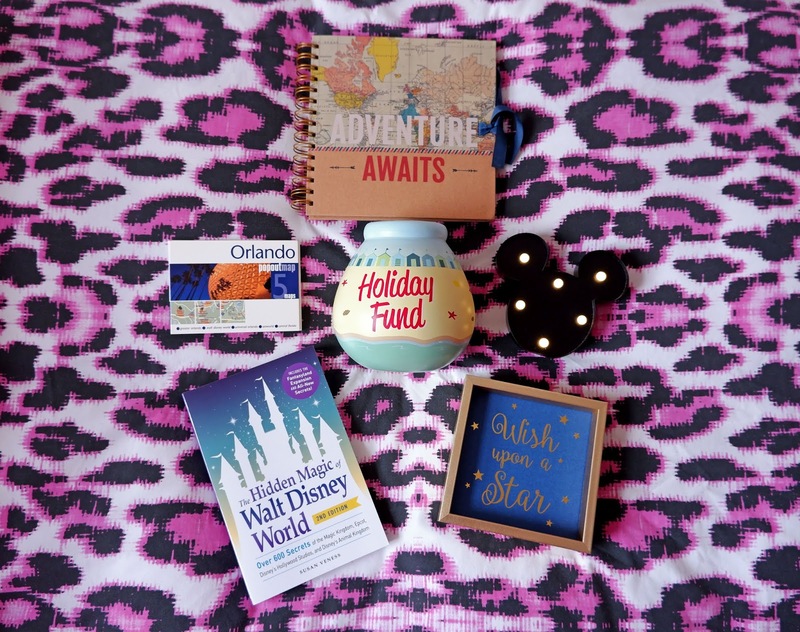 If you’re planning to go on a big trip at some point in the future (Disney or not), these tips should hopefully help you get on the way to your target. 1. Put loose change in a pot that you can’t open. Collecting 1-20p coins is a small scale but effective way of saving for trips. If you don't have these coins in your purse or wallet you'll hardly notice the difference and you'd be amazed how quickly change pots can grow in the weight, if you're prepared to commit to saving your loose change. I recommend purchasing a 'Pot of Dreams' from Clintons Cards and then giving yourself an entire year to put your pennies away. You won't save a huge amount of money by the end of the 12 months, but you'll at least have a purpose for your loose change. 2. Transfer a manageable amount of your salary each month into a separate holiday savings bank account. I am a big advocate for saving little and often. Big holidays are expensive and saving money in small chunks makes the whole trip seem a lot more affordable. Each month I transfer a manageable amount of my pay check into a separate holiday savings account. By doing this, I always know that I'll get a little closer to my savings target each month and as the money is out of my current account, there is no temptation to dip into this money throughout the month. Most banks will let you set up online savings accounts instantly, so it doesn't take long to open a separate account and start arranging standing orders between your accounts. 3. Find discount codes and coupons for your food shopping and everyday spending, so that you have more money free for your holiday. I can't recommend voucher code apps enough as a way to save money on your everyday spending. Whenever I'm ordering anything online, I always try and save 10% here and there which probably doesn't sound like much in one go, but the savings add up if you regularly use discount codes. Saving for a trip is a really exciting and rewarding experience. Best of luck if you're going to start saving for a big trip soon. Just think of all the good times you'll be able to have after your hard work saving.